If you have a small business in Spain, you may not have contemplated protecting your brand thinking that this is yet another expensive and laborious bureaucratic process. 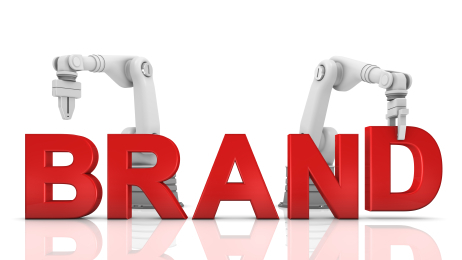 Read on to see how you can get a free report about your chosen brand name and protect the future of your business. Let’s imagine that you have a restaurant in Spain, as is the case for many expats of different nationalities, and you think you’ve come up with a really original and catchy name. As you build up your business, get more customers and deal with the day-to-day needs, protecting your brand is often not at the top of your priorities. However, imagine one year down the line your successful restaurant is fully fitted out with your logo, printed menus, business cards and more and you receive a letter from the lawyer of another restaurant with the same name in another town, informing you that you can no longer use your brand name. What’s more, the other restaurant has the same domain as you but “dot es” (you bought the “dot com”) and are on Twitter and Facebook too. But, more importantly, they’ve taken the time to register “their” restaurant name at the Spanish Brands and Patents Office (Oficina Española de Patentes y Marcas – OEPM). So, you could either have a legal fight on your hands – with the associated cost and no guarantees of winning – or simply decide to change your restaurant name at considerable expense and, arguably more negative, impression left upon your clients. Some years ago in Spain it was accepted that a business that had set up with a brand name first had a certain “right” to use that name, however recent legal sentences have favoured the company that registered their brand first. We spoke with a representative from Invicta, a Brands and Patents Office in Madrid, who told us that protecting your brand is not only relatively cheap (when compared with setting up a business) but it also lasts for 10 years (renewable). Your brand is not just limited to a name but can include colours, fonts, designs and you are assured that if another business does try to use your name you have all the legal weight behind you. Invicta are offering all visitors to Money Saver Spain a totally free report detailing the results of a search for your business name in Spain – not just limited to those names which are the same, but those that are similar too. Remember that even if you do find a business with a name the same as yours, if they operate in a totally different sector to you they may not object to your registering your own business with the same name. You can try to register your brand yourself with the OEPM, however more often than not requests are met with requirements for further information which take time and, as any businessman/woman knows, time is money. Invicta offer this service for 420€ and as registration lasts for 10 years that works out at only 42€ per year. For this price not only do you get assessment and initial registration, but also news about any potential brand infringement by other people during the whole 10 years. If you want to contact Invicta to get your free report about your business in Spain, call Margarita de la Fuente on 91 344 06 66 or visit their website.